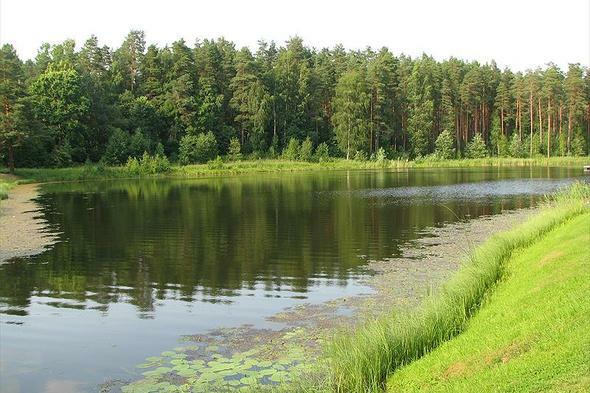 Kubija Hotel and Naturespa is a campsite in Võru, located in a wood and by a lake/recreational pond.This camp site with sloping grounds has pitches without shade and pitches with some shade. Kubija Hotel and Naturespa is located close to a sandy beach. It is possible to rent rooms. The campsite has an indoor playground and a sports ground. For sportive holidaymakers the camp site offers various cycle routes. For those who want to relax after a busy day there is a sauna. You can swim nearby in in a lake/recreational pond. You don't always have to cook, as the camp site has a restaurant (with full menu). You can also use the internet, as the camp site has one or more computers with an internet connection and there is a WiFi point. This inspector visits Kubija Hotel and Naturespa every year and inspects the campsite on the basis of more than 200 amenities and other points of interest. The inspector is an ACSI staff member and does not work for the campsite. Schoen wenn dieser Campingplatz noch bei ASCI in der Wertung ist! Wenn ich aber die letzte Bewertung anschaue (2012) da frage ich mich wie aktuell diese ist???. WIR WAREN DA. Leider war der Platz total verwahrlost. Nach einer langen Autofahrt eine herbe enttaeuschung. den CP gibt es leider nicht mehr. Dieser muesste eigentlich schon langst ueberfaellig aus dem Programm genommen werden!! Schönes Wiesengelände in ruhiger Lage am Stadtrand. Freundlicher Begrüßung an der Hotelrezeption, dort erhält man auch den Schlüssel für gut gepflegtes, sauberes Sanitär. Angenehmes Restaurant mit zivilen Preisen. Would you like to book Kubija Hotel and Naturespa or request more information? You can do both using the information below. ACSI Eurocampings will send your information request to "Kubija Hotel and Naturespa".